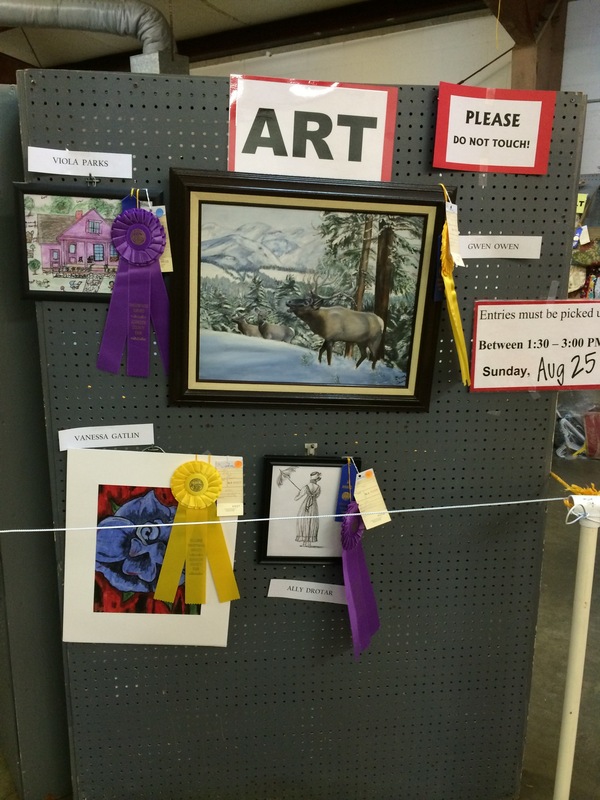 Exhibits must be original work of the exhibitor and not previously shown at the Johnson County Fair. Youth entries in this department will be divided into three age categories: (Age 5-8) (Age 9-13) (Age 14-19). At the judge’s discretion, Sweepstakes and Reserve Sweepstakes may be awarded in each age group. Youth Only – Budget Framing, budget Mat & foam board securely attached, must have mounting wires. All entries must be on canvas, paper or untreated Masonite canvas boards. Entries must be no small than 5 inches by 7 inches and no larger than 24 inches by 36 inches (size does not include frame). All entries must be framed and ready to hang with standard picture wire hanger securely mounted to frame No tape for mounting. No saw-tooth hangers, soft drink tabs, string, or filament hangers will be acceptable for any framed entry.